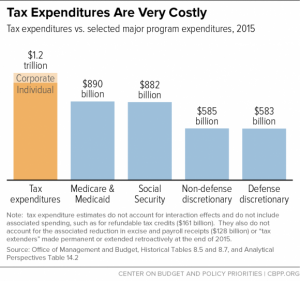 A tax expenditure program is government spending through the tax code. Tax expenditures allow exemptions, deductions, or credits to select groups or specific activities. Some might call them tax loopholes or tax write-offs. One of the problems with funding things by tax code write-offs is that these are similar to entitlements (see prior post), meaning that everyone who is eligible receives the tax write-offs . As such, they are no limits to the total amount of taxes that are written off. The other problem is that there is no debate or discussion about whether these write-offs are appropriate expenses of government or whether they are effective in accomplishing any policy objectives or goals. Another problem is that we don’t see these tax write-offs in context with other government spending. For example, are tax write-offs for business meals more worthwhile for our society than money spent to feed poor children? 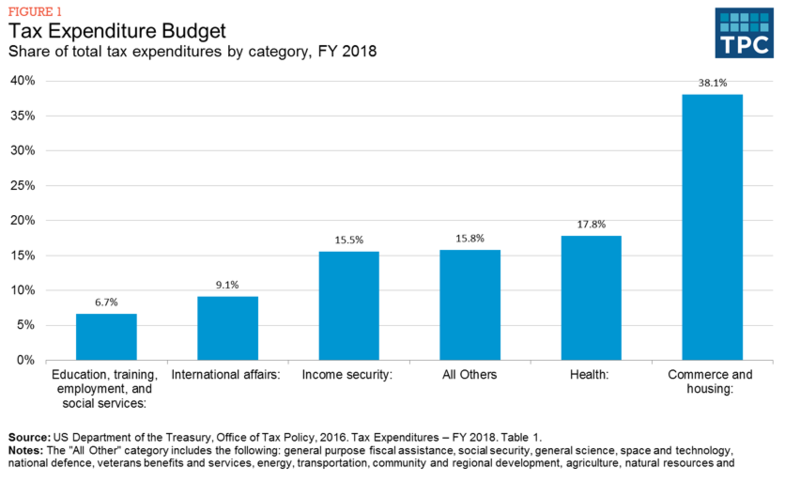 Tax expenditures are essentially hidden government expenditures that do not show up in the budget documents. The lack of transparency creates the sense that the top political donors receive benefits that are denied to lower-income families. 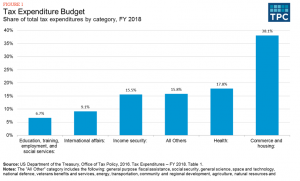 Every year, the Office of Management and Budget (OMB) and the Congressional Joint Committee on Taxation (JCT) publish lists of tax expenditures. These lists, sometimes called the Tax Expenditure Budgets, enumerate the estimated revenue losses attributable to preferences in the tax code the agencies describe as exceptions to “normal” or “reference” provisions of the income tax law (figure 1). This entry was posted in Taxes.